Fly Me To The Moon Saloon has been a great local live music venue for over 30 years. The Moon is now located inside of the O'Bannons Irish Pub, which is located inside of the old Fly Me to the Moon at 136 East Colorado Avenue. Confused? Understood! Consider this a great marriage of Telluride's beloved dive bar and underground (literally) music venue. It's all good! Still a great place for a drink. The Nugget Building, which houses the Nugget Theatre, was first the Old First National Bank Building which was built by Lucien Lucius (L.L.) Nunn in 1892 to house the First National Bank and the Telluride Power Company offices. 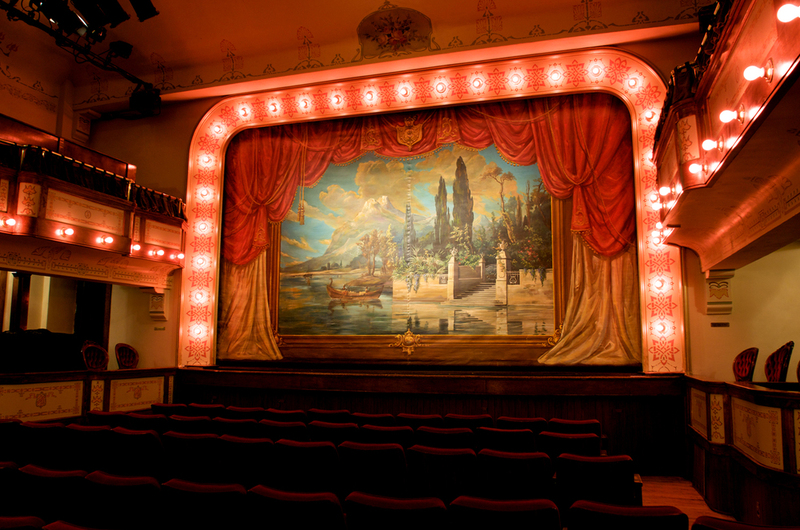 Today, the theater has regular showings of movies and is a venue for both Mountainfilm and the Telluride Film Festival, and the occasional fringe performance on the vaudeville stage. 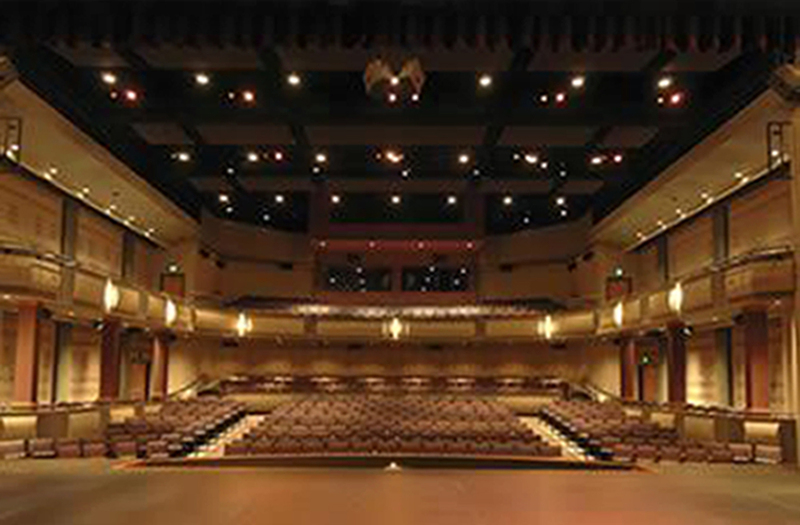 The Michael D. Palm Theater is a premier state-of-the-art venue located at the Telluride High School at the west end of town. The 587 comfortable seats have excellent site lines to the stage from every location. The Palm technical equipment includes a full fly with 38 linesets, 288 dimmed lighting circuits and state of the art performance sound equipment....and so much more. The Sheridan Opera House was built by J.A. Segerberg in 1913 as a vaudeville theater and cultural center, attracting variety shows, orchestras and touring theater companies. Today this 240 seat intimate theater which is listed in the National Register of Historic Places, is home to the Sheridan Arts Foundation and has become a non-profit venue that has a full season of events and programs as well as serving as a community rental venue. Telluride Town Park is the center of many activities. In the summer, the stage, which was rebuilt in 2016, provides a spectacular venue for many music festivals, Shakespeare in the Park, movies and more. 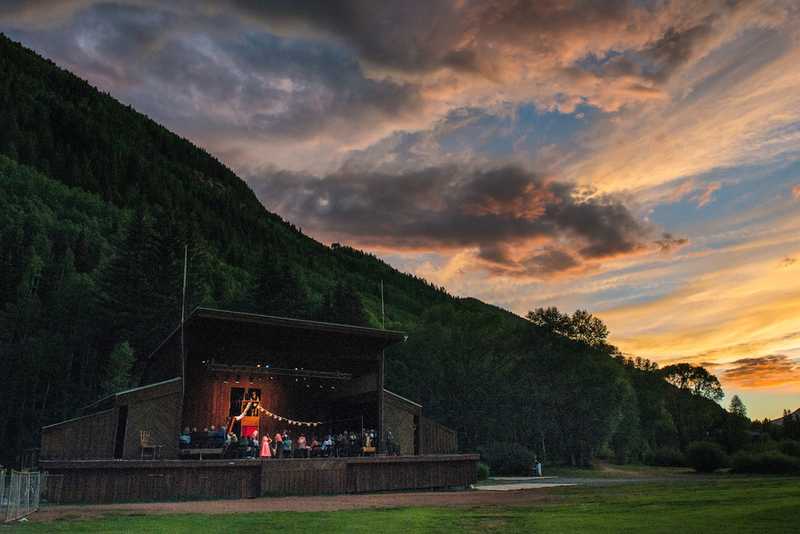 The Town of Telluride manages the use of Telluride Town Park and stage. Nestled in beautiful Mountain Village, the state-of-the-art facilities of the Telluride Conference Center offer a relaxing & productive environment, an easily accessible location, and direct air access. Telluride Elks Park is located across from the iconic San Miguel County Courthouseon Colorado Avenue. All summer long Elks Park is host to a variety of arts and cultural events from yoga demonstrations to free film screenings and concerts. A variety of food cart vendors also call Elks Park home. The use of Telluride Elks Park is managed by the Town of Telluride. The Telluride Elks Lodge is located in the historic Swede-Finn Hall in the center of Telluride. The building includes a large hall with a stage and bar, a catering kitchen, as well as a sunny outdoor deck. The Elks Lodge can accommodate any event or reception at any time of the year. The Liberty Bar & Lounge is the newest stop in downtown Telluride, offering beer, wine, spirits & music in a comfortable lounge and long bar set up.